The late Steve Jobs wrote a blistering critique of Adobe's Flash in 2010 and argued that the media player was a clunky old tech relic. Much of what he said was right. Flash was better off for PCs than phones. Seven years later, the Thoughts on Flash prophecy of Jobs is coming true. Most Web browsers, including Apple's Safari, barely support it now. Some block it outright. And Adobe has announced that it will begin phasing Flash out and stop updating the player entirely by the end of 2020. None of that is a bad thing for Adobe (ADBE) though. The stock is now trading at an all-time high. Shares surged 12% Thursday after the company gave a bullish outlook for 2018, making Adobe the top performer in the S&P 500. Adobe said it expects revenue to grow 20% and earnings to be up 30% -- largely due to strong subscriptions for its cloud-based analytics and marketing software and healthy demand for its digital media tools like Photoshop, Illustrator and InDesign. "Adobe's vision has never been more clear or more relevant -- to empower people and businesses to design and deliver amazing digital experiences," said Adobe CEO Shantanu Narayen in a statement. Adobe's stock is now up more than 67% this year. The company has a thriving partnership with one of Apple's main rivals -- Microsoft. And how's this for irony? 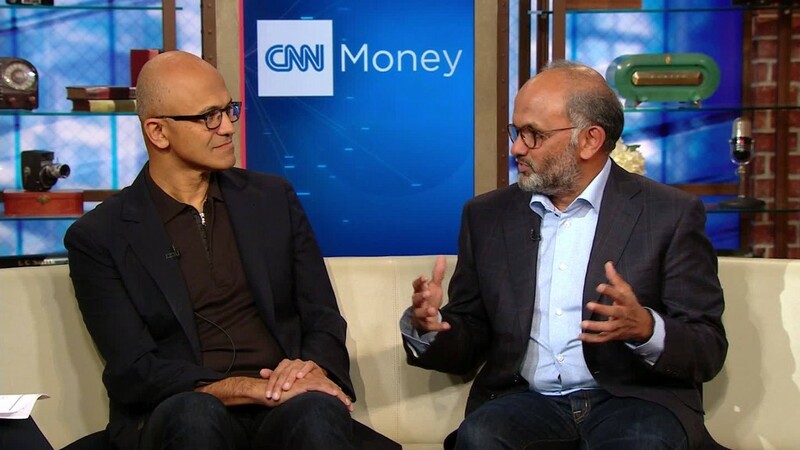 After Steve Ballmer left Microsoft, I wrote a column in early 2014 suggesting that Adobe's Narayen should be the next Microsoft CEO -- mainly because of Narayen's expertise running a cloud software company. But Microsoft wound up picking its own cloud guru, Satya Nadella, instead and that has turned out fine. And then some. Microsoft is also near an all-time high, with a market cap of about $600 billion. Nobody should shed any tears for Apple though, which has continued to thrive under CEO Tim Cook after Jobs passed away. Apple's stock is up nearly 35% this year and the company is worth $800 billion. But some investors are starting to grow nervous about Apple's inability (so far at least) to find a new product to juice growth. While there are high hopes for the upcoming iPhone X, there were also reports Thursday that sales of the already available new iPhone 8 and iPhone 8 Plus may be disappointing. That was the main reason why Apple's stock fell nearly 2.5% Thursday -- even as Adobe was Flash dancing its way to a new record.